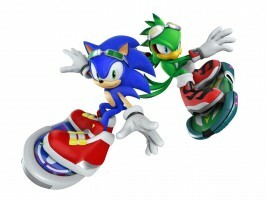 For the moment, Sega remains firm on ensuring its Kinect exclusive Sonic Free Riders stays just that, if a Tweet from Sega’s official feed Wednesday is any indication. The entire game has been designed from the ground up for the Kinect, it is a Kinect exclusive title. This will not happen. Sorry. While SFR wallows with a 59 Metacritic rating, it appears Sega will spend its efforts elsewhere–like wooing reviewers with paid trips in an effort to change their mind about the game in its current form.